As you use your computer to do everyday activities like web surfing, reading email, creating Word documents, PowerPoint presentations or spreadsheets your computer saves a lot of information. After time this information accumulates and impacts your computer's performance. D&T LLC specializes in cleaning and optimizing your computer to give your system back it's optimal performance. Serving central New Jersey. Ever get the feeling you are being watched, followed? You use your computer for many personal and private task, online banking, email, investment accounts, etc. and when you do use your computer for these personal reasons you want to feel sure that you are not being tracked with programs like key-loggers that copies what you type, hidden Trojan horses designed to steal passwords, user names and contact information. Spyware that tracks what you do on the internet, popups and Malware. At D&T LLC we specialize in keeping you safe on the internet. With quality, guaranteed same day computer support service. We can help. If you are like me then you depend on your email daily. Many of us are dependent on the web for our jobs and maintaining contact with loved ones, friends and colleagues. Unfortunately, this also opens us to spam, malicious emails containing viruses and other dangers present on the web and in email as we try and conduct our daily lives. D&T LLC can help when your email is hacked, when your web searches are being redirected and other annoyances that occur when you use the web and email. With new mobile technologies like smartphones and tablet PCs we are more mobile, able to accomplish more in less time and stay connected where ever we go. This is great and as business owners we at D&T LLC realize just how important this is in our lives. We use our smartphones and tablets for more than simple telephone calls, they have become our personal assistants in just about everything we do. No wonder when they are not working correctly they adversely affect our productivity. When this happens to you allow us to come to your rescue. 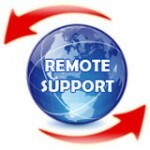 We specialize in mobile technology support and can get you up an running in no time. As the IPhone gained popularity, so did the IPad and other devices using the Macintosh operating system. The truth is there are not many companies out there that truly specializes in MAC products. They may say they do until they have wasted a lot of your time and money. At D&T LLC we know what keys to press for your specific MAC issue. We have specialized in MACs when no one else did. Give us a call for all your MAC issues.